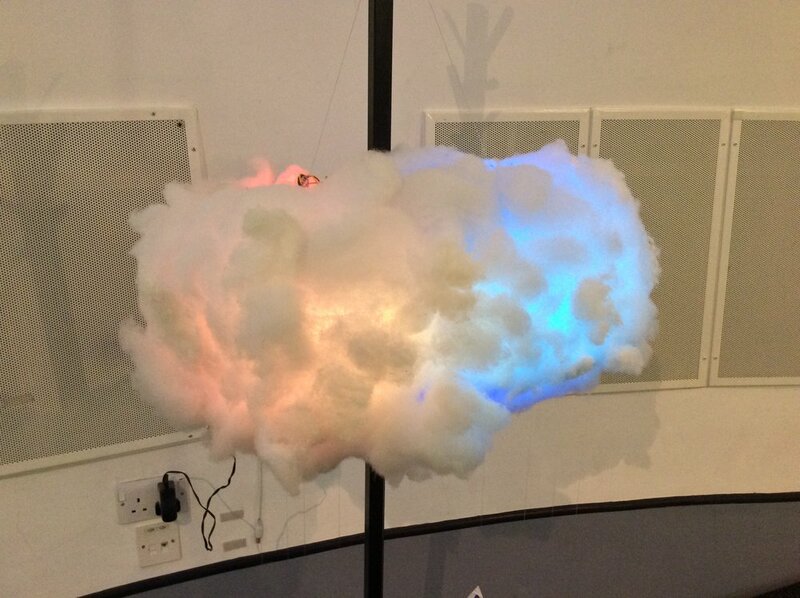 This is the third cloud I have made and by far the biggest and brightest. It includes two metres of LED strip and is audio reactive. This one was made for a wedding party and hung over the stage where bands and DJs played. Below are some pictures of an earlier smaller cloud.